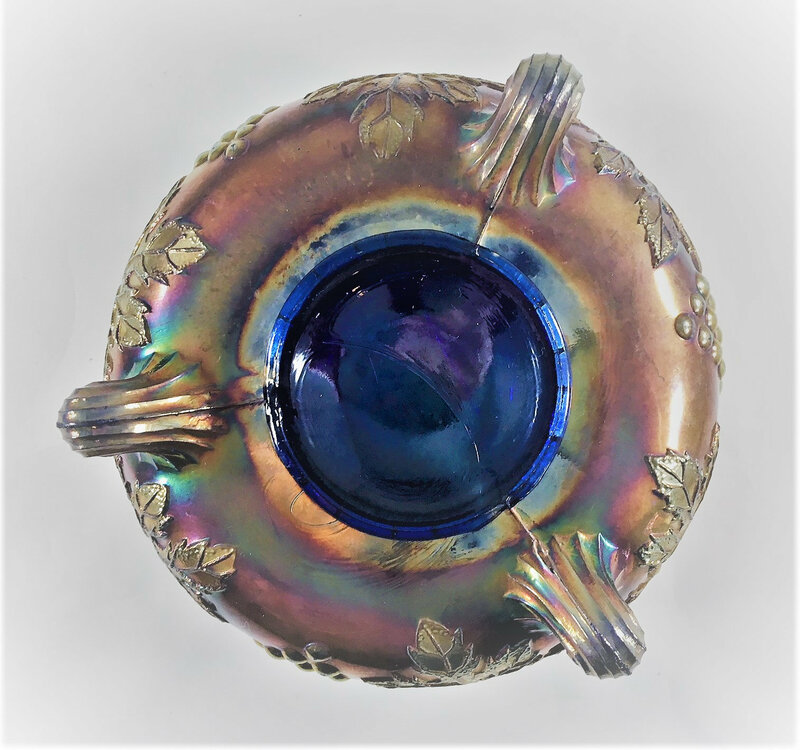 Featured is a stunning piece of classic Carnival Glass from Fenton. 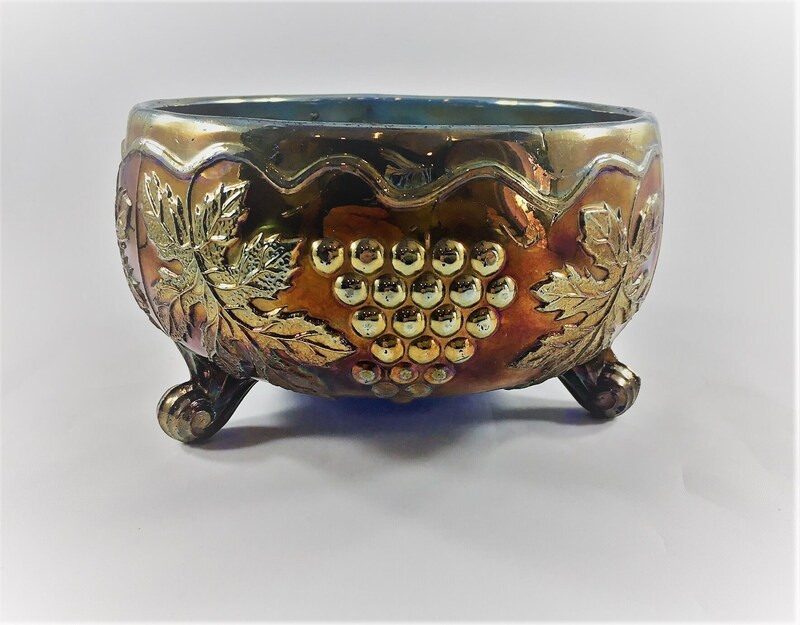 This nut bowl, or rose bowl, or fernery is from their Vintage pattern which is characterized by the grape and leaf motif. 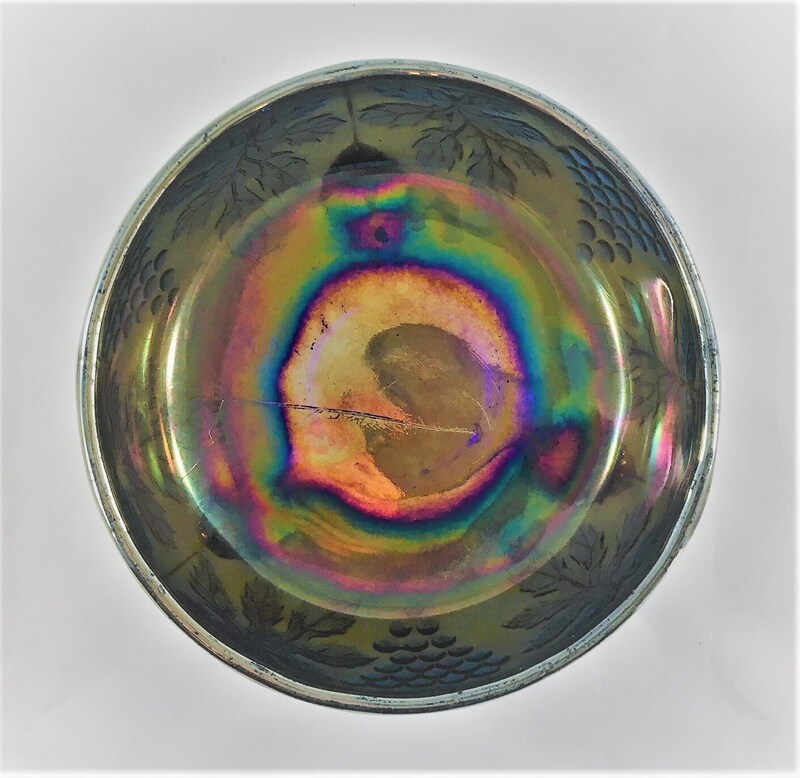 This iridescent 3 toed/footed bowl is about 5 5/8 inches in diameter and about 3 1/4 inches tall. The round collar is a beautiful electric blue and measures 2 5/8 in diameter. 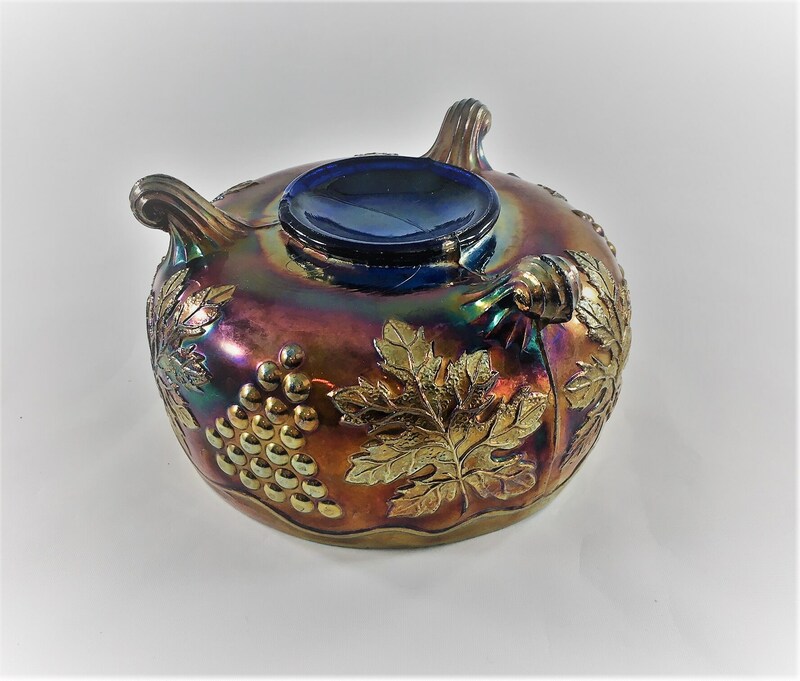 The piece is in excellent vintage condition with no chips or cracks. Very minor wear to the iridescent finish.